Guests can enjoy a comfortable stay at the Best Western Bayfront Hotel located right in the heart of St. Augustine's historic district. The original structure was built in the 1950s but has been recently renovated. 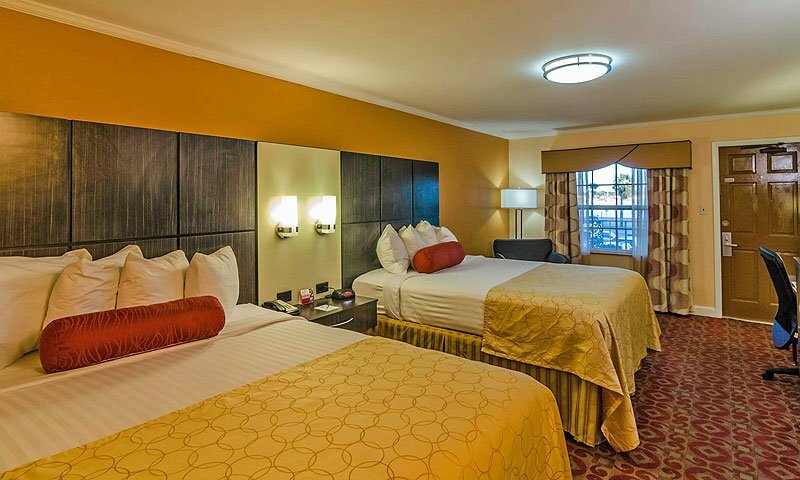 Best Western Bayfront offers 59 expertly appointed guest rooms and parking on-site is available for an additional fee, which is a big plus in downtown St. Augustine. 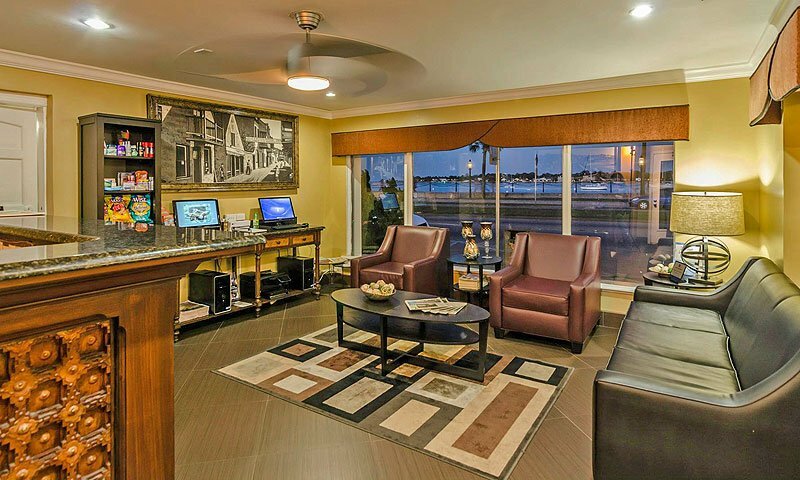 Best Western Bayfront is located just across the street from the Castillo de San Marcos and within easy walking distance to all the historic attractions, restaurants, shopping and art galleries of the downtown area. The hotel has an outdoor swimming pool that guests can use, and wireless internet. Rooms show stunning views of the bayfront, and even if placed in a room without views, there's an upstairs lounge patio that overlooks the bay. This accommodation offers all the amenities you've come to expect from Best Western, including a pool, pet-friendly rooms, cable TV, high-speed Internet access, 100% smoke free facilities, in-room microwave and refrigerators, free-to-use business center, complimentary newspaper, and more. My husband, my 12 year old grandson and myself stayed here last year and the room was very clean, employees all very courteous and found out they have some pet friendly rooms for a great rate. I would highly recommend as my husband is in pest control and the first thing always checked is bed mattresses and room cleanliness. Love to sit out at night and watch the city in action, but no noises penetrate room to keep you awake. Looking forward to going back soon!!!! !